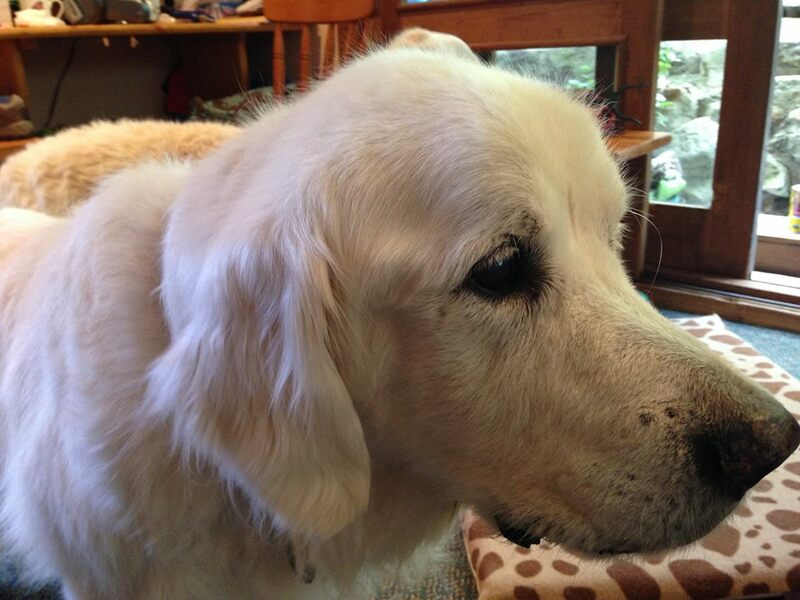 My Golden Retriever boy, aged nearly 14 and diagnosed with an inoperable brain tumour nearly 3 years ago which caused him to lose the sight in one eye. The medication needed to control the tumour caused muscular weakness in his hind legs but he is a happy boy, playing with his younger Goldie friend. Tim has been giving him some treatment for the past few months. One morning, recently, Oliver could not get out of bed for his breakfast – torture for a Goldie who needs every scrap of food he can muster! Despite lifting him with a chest harness and towel sling hourly, he could not weight bear at all. Sadly I thought that this was the day we all dread & left a message for my vet to call me. Fortunately, at a busy practice, that message did not get through because, just after 1pm Ollie, rather shakily got up. Tim came to treat him with heat, acupuncture and massage later that afternoon. During the next few days he progressed then relapsed but, with continued heat & massage – & many hours spent on the floor with him, the old boy came good and he is his old self again, tail wagging and barking when he feels he needs more attention! 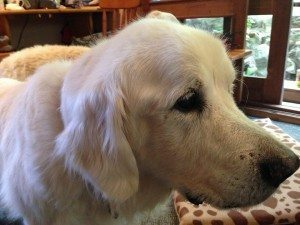 Thank you Tim – I am certain that, without your care, treatment & teaching, Ollie may now have been a resident of Rainbow Bridge. You have given him more time to be loved by his family.